Pest description and damage These insects use piercing-sucking mouthparts to feed on individual plant cells on the lower leaf surface, so the upper leaf surface appears stippled. These stippled areas eventually turn yellow. 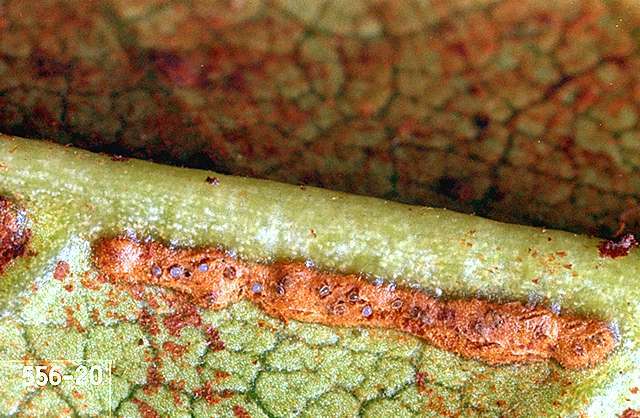 The undersides of leaves are peppered with varnish-like "tar" spots. 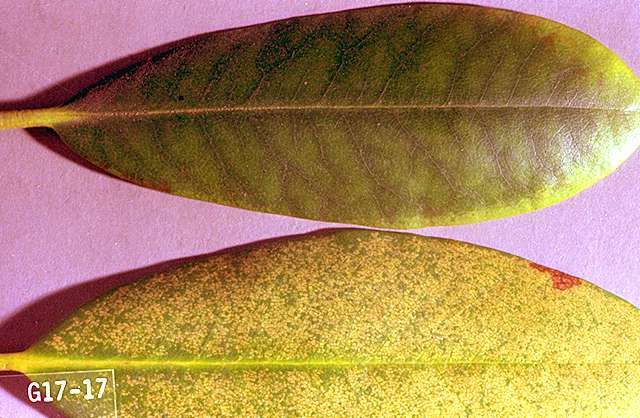 Infestations are more severe on plants in the sun. Damage is apparent by early to mid-July. 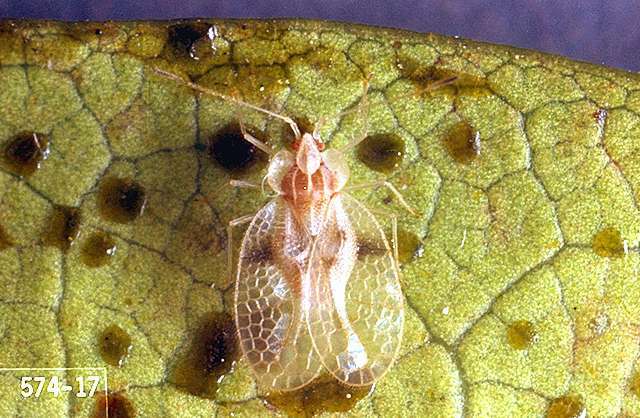 Repeated infestations of rhododendron lace bugs may result in yellowed, sickly plants. Adult insects are whitish-tan and approximately 0.13 inch long with lacy-looking wings. 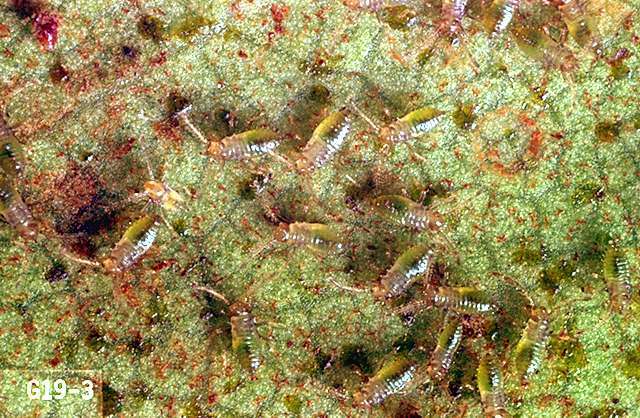 Nymphs grow to about 0.13 inch and are spiny.